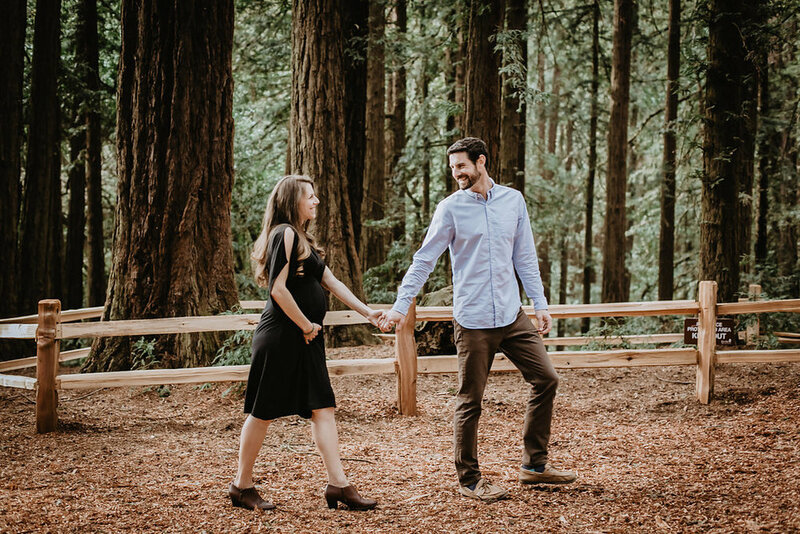 Capturing those twinkling moments just before babe is born can be special but also a little stressful. 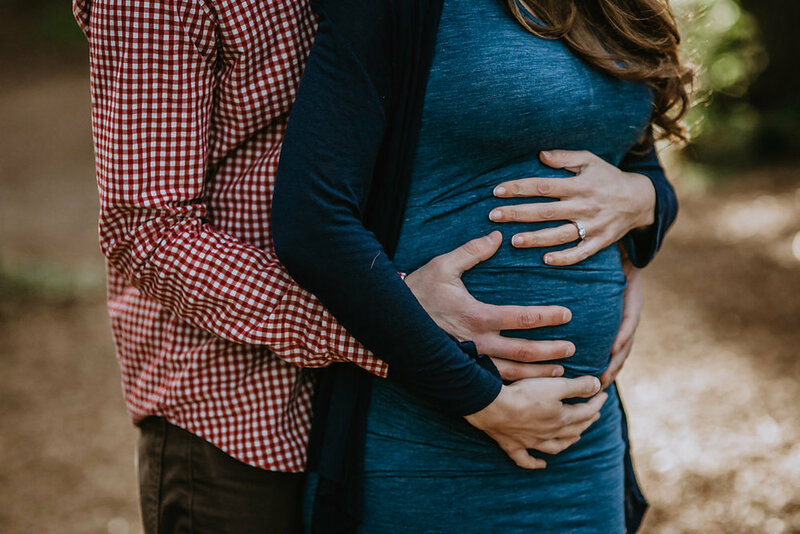 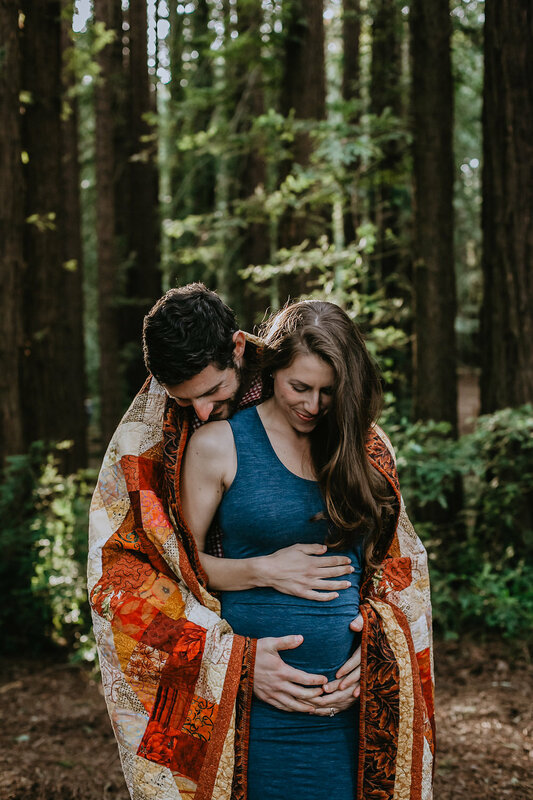 We're always looking for maternity photo shoot inspiration for mamas-to-be, in efforts to help their creative juices flow and assist their visions for their own future photoshoots. 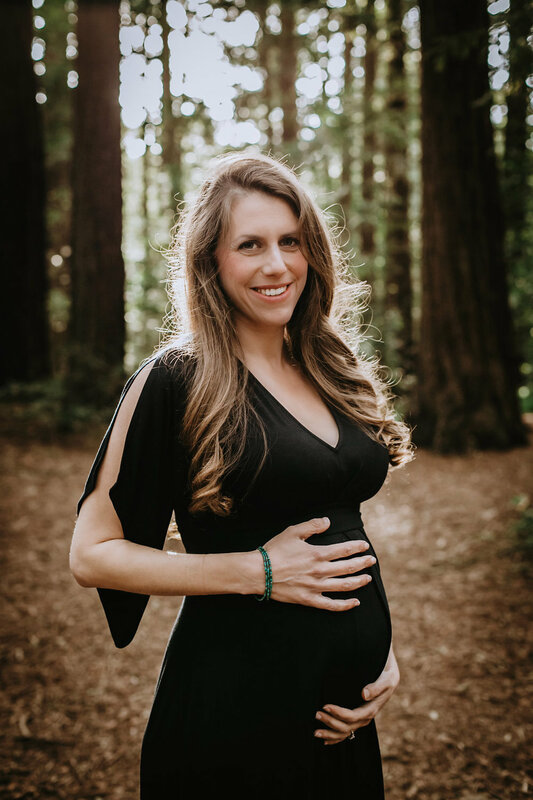 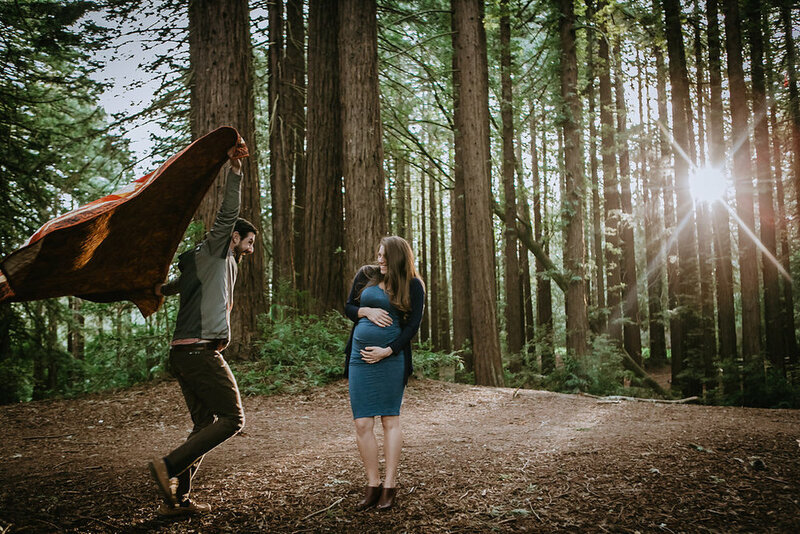 We are truly enamored by the direction of this maternity photo shoot of friend to Ingrid & Isabel, Maya and her husband, shot by Bay Area photographer and mama of 2, Jessica Krueger. 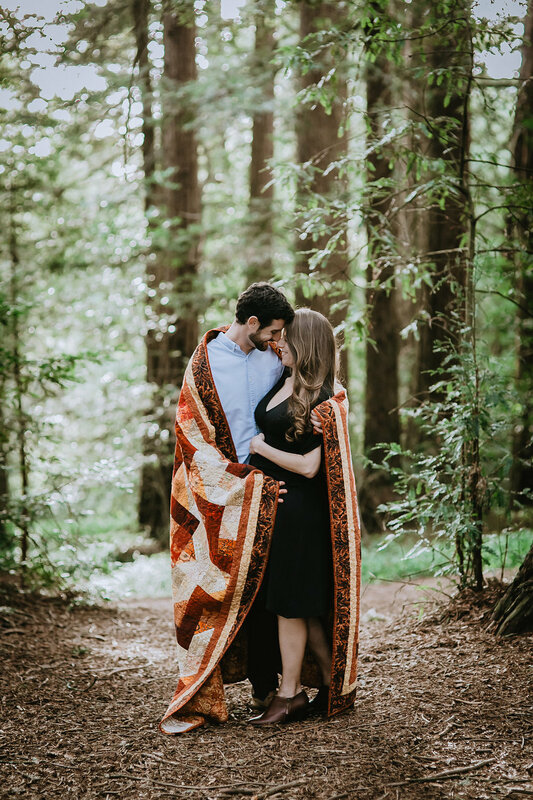 Jess effortlessly captures this couple's love for one another in this beautiful wooded Bay Area setting, a setting that isn't the norm for most maternity shoots. 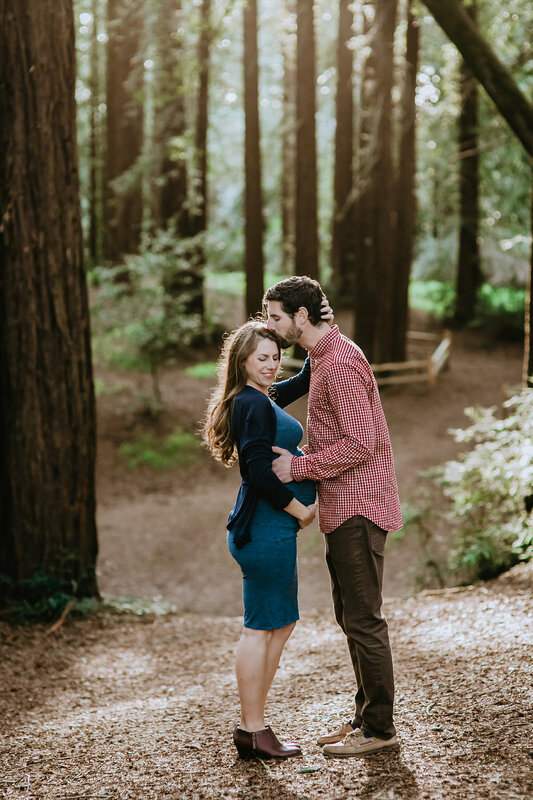 Maya is wearing two of our favorite dresses that are adorable before, during and after pregnancy. 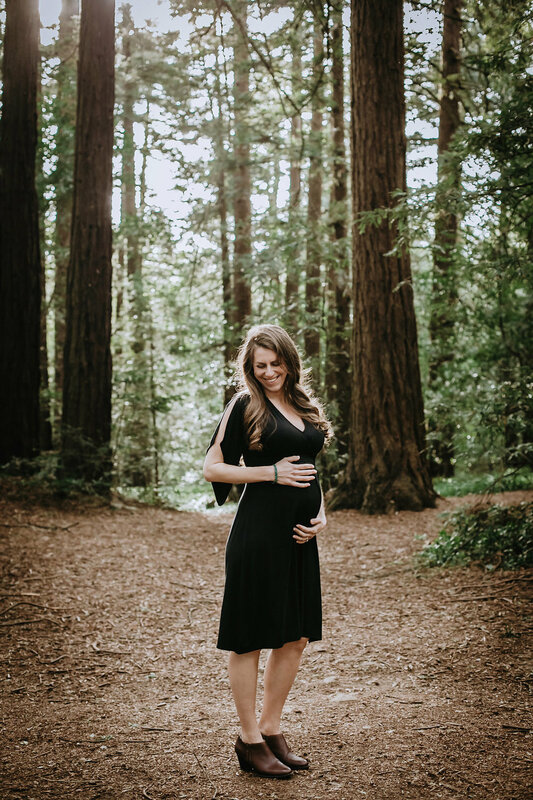 The Kimono Dress in Black and the Pleated Tank Dress in Indigo Heather. 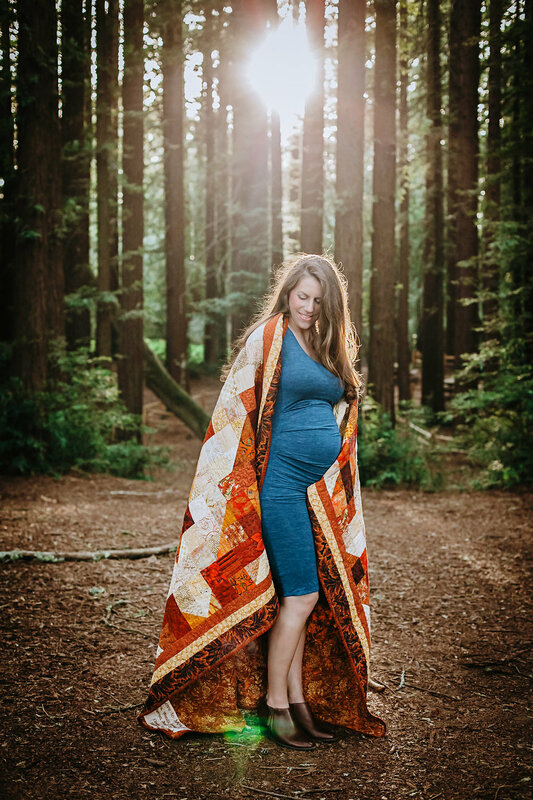 Both dresses are designed with an ultrasoft micromodal knit blend and come in a variation of colors to go with your personal style.